In describing the ongoing project, Dr. Aiken explained that more than 550 hospitals and hundreds of home care agencies and nursing homes in four states (PA, NJ, CA, and FL) were studied over time. In Pennsylvania, institutions were studied at three time points (1999, 2005-2006, 2015-2016). Detailed information about patient-to-nurse ratios, nursing skill mix, nurses’ qualifications, and the quality of the clinical work environment was collected through surveys from tens of thousands of nurses practicing in these organizations. These nurse resource data were linked with patient outcomes from multiple sources, including hospital discharge data from the Pennsylvania Health Care Cost Containment Council (PHC4). Dr. Aiken added that hospitals where nurse staffing, education, and work environments have improved have seen greater improvements in patient safety and quality of care when compared to hospitals where nursing resources have remained the same or declined. She highlighted a recent study that showed patients at highest risk of poor outcomes, such as patients with Alzheimer’s and related dementias, who undergo general, orthopedic, and vascular surgery, experience significantly lower mortality in hospitals with a higher proportion of nurses with bachelor’s educational qualifications. In discussing the benefits of lower nurse to patient ratios, Dr. Aiken described a paper published in Health Services Research using PHC4 data. Results showed that in 2005-2006, after implementation of mandated ratios in California, nurses in Pennsylvania cared for, on average, more than one additional patient each than nurses in California hospitals. Estimating if Pennsylvania hospitals staffed at the levels mandated in California, mortality following general surgery in Pennsylvania hospitals might be reduced by 13%. Analysis of recent data from 2015-2016, shows that 12 years after the implementation of nurse ratios, California still has substantially better nurse staffing ratios than other states, and mortality rates are still lower than those in Pennsylvania and other states. Dr. Aiken noted that most states focus on voluntary efforts to benchmark and improve performance and patient outcomes rather than mandating specific quality initiatives—often using data from resources such as PHC4. According to Aiken, about half of the states have some form of RN staffing-related initiatives, most commonly requiring a process to determine safe hospital staffing that involves nurse input. A few states have mandated public reporting of hospital patient-to-nurse staffing, and many states including Pennsylvania stipulate minimum nurse staffing in nursing homes. Considerable attention is being given to modernizing state practice, including in Pennsylvania, that would enable advanced practice nurses, such as nurse practitioners, to have full scope of practice commensurate with their advanced training and expertise. Dr. Aiken added that PHC4 data enabled their research group to determine that hospitals employing a higher number of nurse practitioners per 100 beds have significantly better patient outcomes including lower risk-adjusted mortality and fewer readmissions. Aiken noted that many hospitals in Pennsylvania and nationally preferentially hire BSNs—a practice that stems from the pioneering research at Penn Nursing’s Center for Health Outcomes and Policy Research showing that patient outcomes are better in hospitals with RNs with BSN. This work, using PHC4 data, was published in the Journal of the American Medical Association (JAMA) and The Lancet. According to Aiken, New York State recently passed legislation mandating that nurses obtain a BSN within 10 years of entering practice in order to retain their RN licenses. To understand whether the relationship between nurse resources and patient outcomes is uniquely American or a generic relationship present in differently organized, financed, and resourced health systems, Dr. Aiken extended her research to other countries. Results showed that the relationship held in all the countries studied, suggesting that using nursing as a soft target for budget reductions adversely affects patients’ wellbeing and ultimately does not save money as patients with complications are more expensive to treat. By studying countries that mandate bachelor’s education, like Norway and Chile, Dr. Aiken’s research team can estimate the likely impact a better educated nurse workforce would have on quality improvement and hospital care in the U.S., which has lagged behind many other countries in moving to bachelor’s education for nurses. Dr. Aiken added that other countries, such as England, have more fully developed community nurse services, which offer useful models to bring to the U.S. in efforts to reduce hospital readmission rates. Many other countries have more hospital-based physicians than the U.S. This international example has led to more hospitalists and intensivists in U.S. hospitals that some research suggests has improved nurse-physician collaboration with good results for improved patient outcomes. 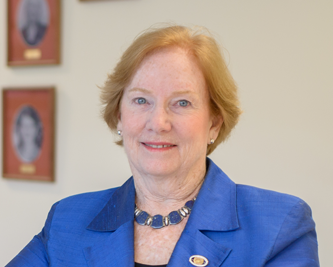 Linda H. Aiken, PhD, RN, FAAN is the Claire Fagin Professor of Nursing, Professor of Sociology, Director of Center for Health Outcomes and Policy Research, and Senior Fellow of the Leonard Davis Institute of Health Economics, University of Pennsylvania. Dr. Aiken conducts research on the use of performance measures to demonstrate relationships between health care workforce and patient outcomes in over 30 countries. She is the author of more than 300 scientific papers. She is the recipient of the Lienhard Award from the National Academy of Medicine, the Distinguished Investigator Award from AcademyHealth, and the Codman Award from the Joint Commission. She is an elected member of the National Academy of Medicine, the American Academy of Arts and Sciences, and the American Academy of Social and Political Science.